If you are looking for an affordable, reliable and simple biometrics time attendance clock, TA500 is your ultimate choice. 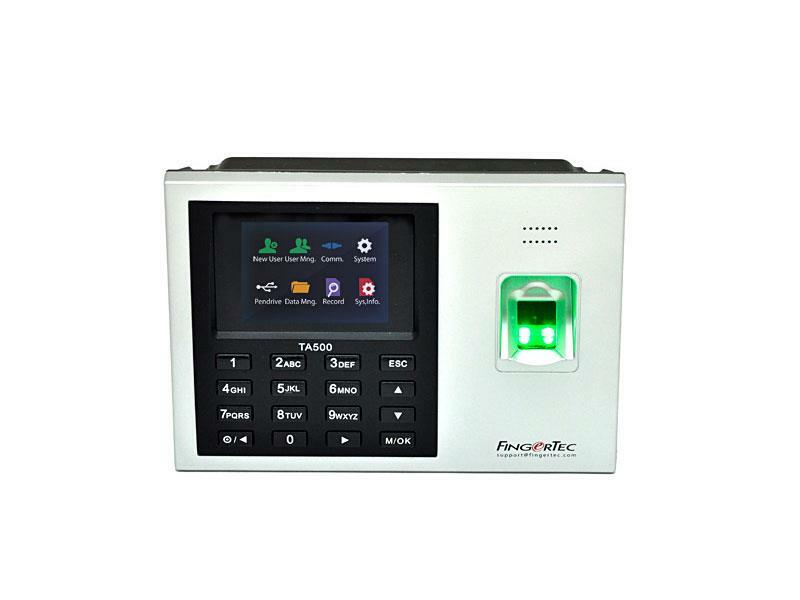 It can contain 2000 fingerprint templates and 80,000 transaction logs in its flash memory at any given time.TA500 verifies fingerprint, password and it accepts embedment of card technology upon request. 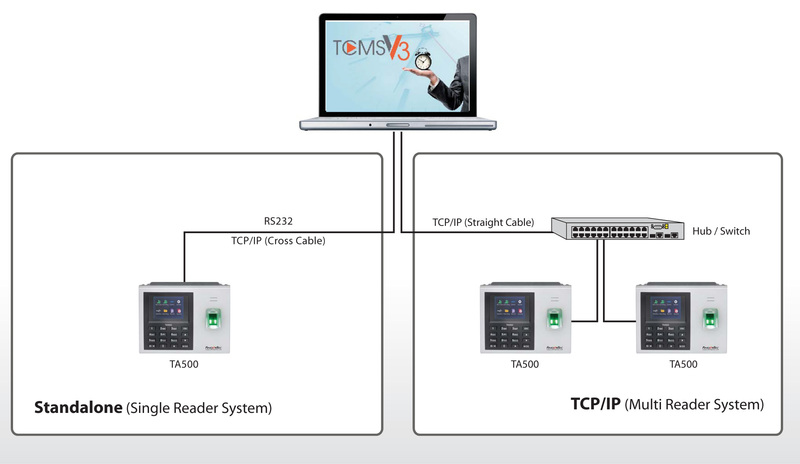 Equipped with the most commonly used IP communication method and USB flash disk, TA500 is the most powerful simple attendance system for your small and medium offices.